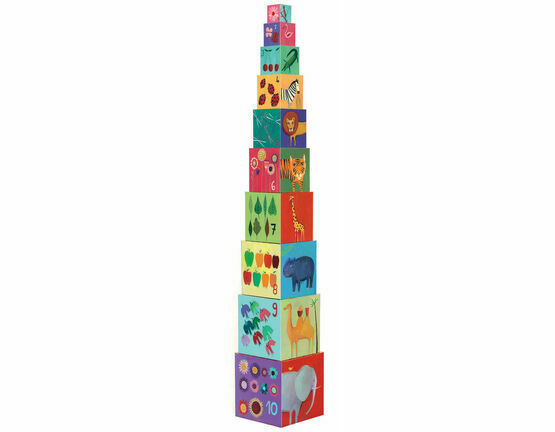 10 Beautifully illustrated stacking boxes for young children. A set of stacking cubes for young children. Featuring lovely illustrations of animals of all shapes and sizes on all 4 sides, including one side numbered one to ten to help children start to count! There is also the design of a tree on one side which when stacked up completes the tree. These cubes can be nested making them easy to store. From Djeco’s Pre-School Toys collection, this is a great construction toy for childen.  All of Djeco's products are fun, safe and timeless. 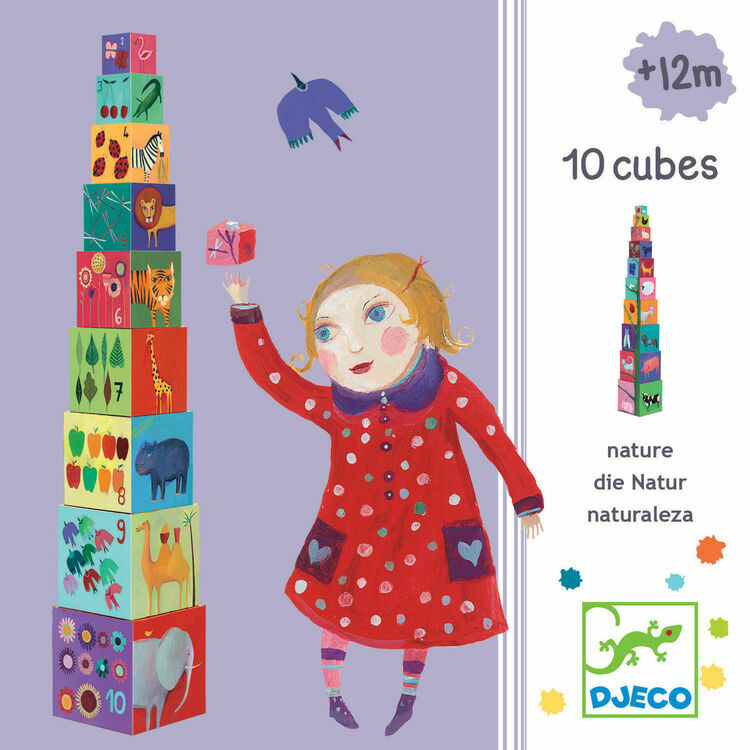 The stacking cubes are well made and the illustrations are beautiful and educational. They will definitely stimulate my granddaughter’s imagination. We love giving these blocks for a 1st birthday present and they have gone down a treat (and grown with the child) every time. Kid tested by half a dozen friends' kids and counting! My 1 year old son absolutely loves these blocks! They are lightweight which is great as I’m not worried with him hurting himself with them ???? 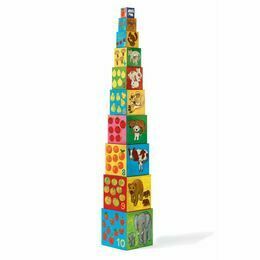 These stacking cubes are wonderful, beautiful illustrations, light weight and lots of different sizes for little hands. A great buy. My 11 month old is enjoying these. I build towers for her to knock down and she enjoys putting things in the boxes, we can talk about the pictures, and she enjoys chewing on the smallest cube, which seems to withstand her, despite being made of coated card. Very versatile!